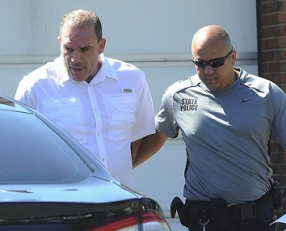 Gerald Daniele, the lowest-hanging fruit in a 2016 indictment of organized crime figures, was sentenced to two years in prison for stalking a gambling debtor over a $3,700 loan. 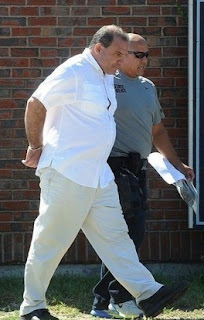 Daniele, 53, pleaded guilty late last year to one count of extortion. 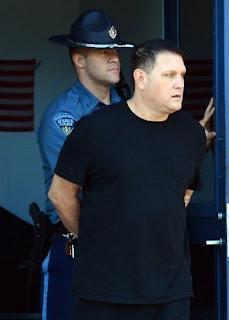 He was arrested on Aug. 4, 2016, along with Ralph Santaniello and Giovanni "Johnny Cal" Calabrese, Richard Valentini, and Francesco "Frank" Depergola. 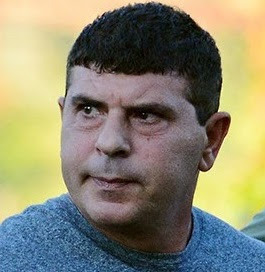 Valentini took his case to trial and was convicted of conspiracy and extortion. The other suspects all pleaded guilty under deals with prosecutors. Santaniello was the ringleader of a fledgling mafia administration, according to prosecutors. Ralph Santaniello Ralph Santaniello was trying to 'get made' referring to a 'promotion' -- usually reserved for top "earners" and the most violent among a street crew. Daniel was a lesser figure in the mob, but was still a cog in the wheel. The worker bees are the ones who help higher-ups earn more money from illicit rackets. Santaniello and Calabrese came calling and threatened to behead Tow Company owner Craig J. Morel and bury him in his backyard if he didn't make payments. Morel went to the police and agreed to chronicle on audio and video subsequent meetings with the pair. Santaniello will be sentenced March 20.